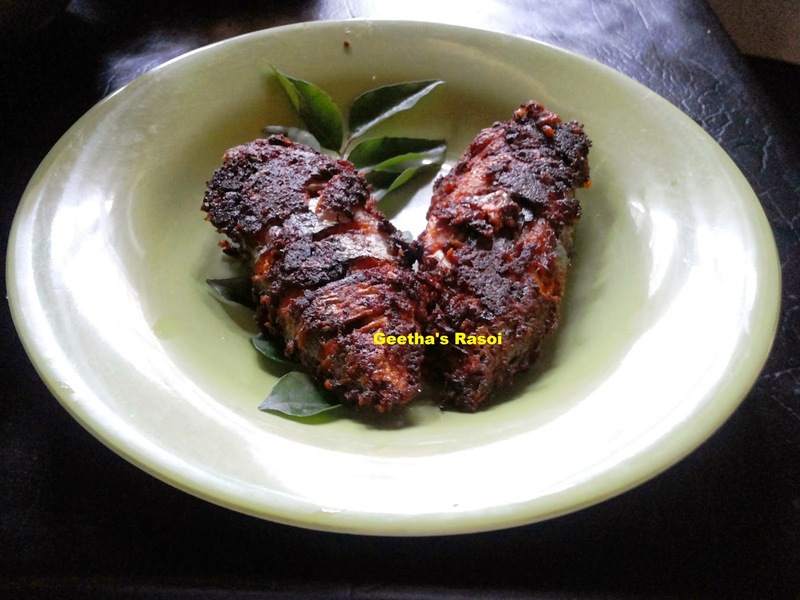 Ayila is a very common fish in kerala households and available even is small hotels. Here I have tried a different version of Ayila varuthathu with a twist. It tasted awesome. Cut and clean the fish, make shallow cuts across them and keep aside. Grind red chilli powder, green chilli, ginger, garlic, salt and corn flour into fine paste. In this paste add chopped onion mix well. Stuff this masala inside the fish and remaining masala coat evenly outside also. Keep aside at least for 1 hour to marinate. Heat little oil in tawa slowly keep all marinated fish, cook in low flame till it gets crisp then turn over and fry another side also till crisp. Ayila fry ready to serve.